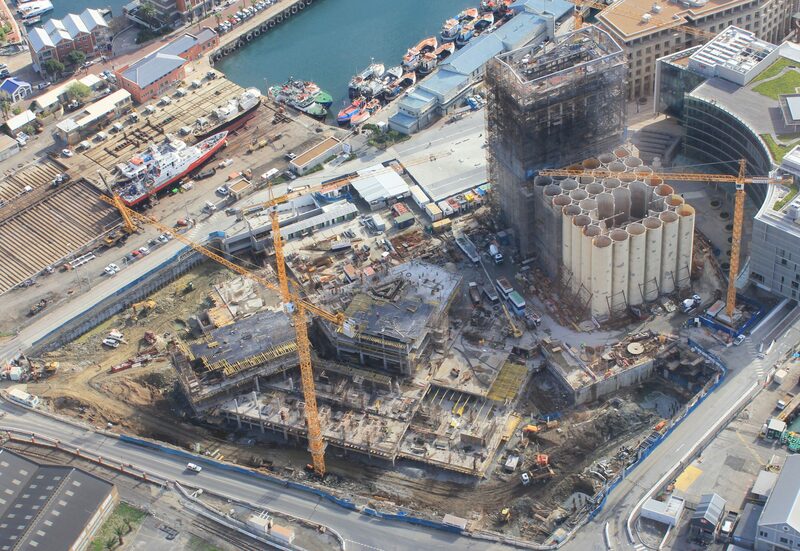 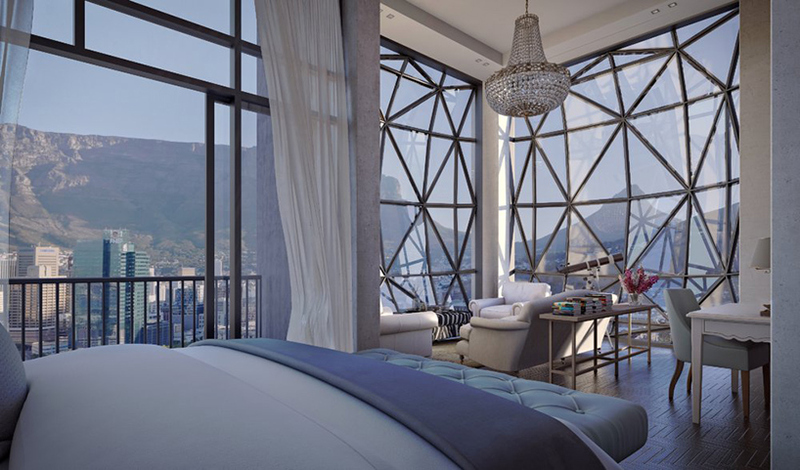 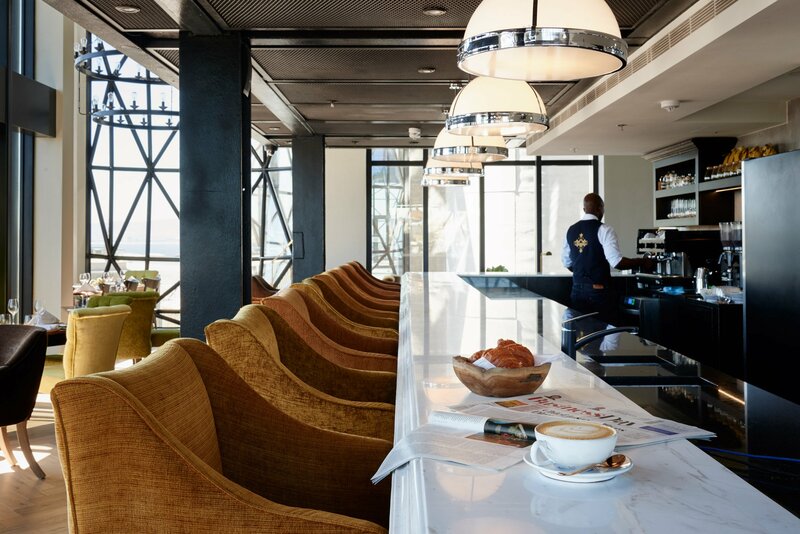 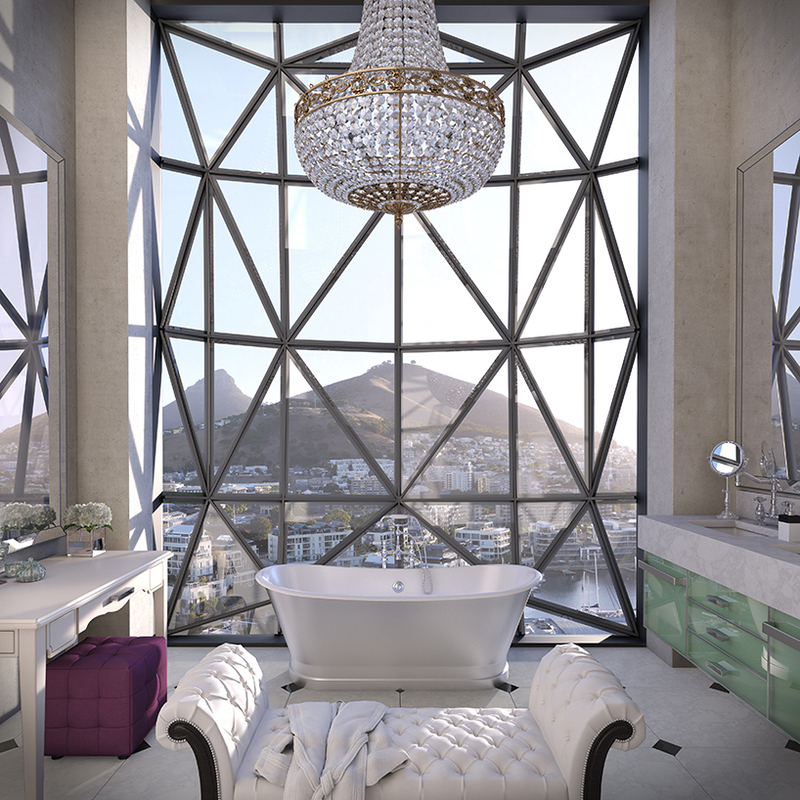 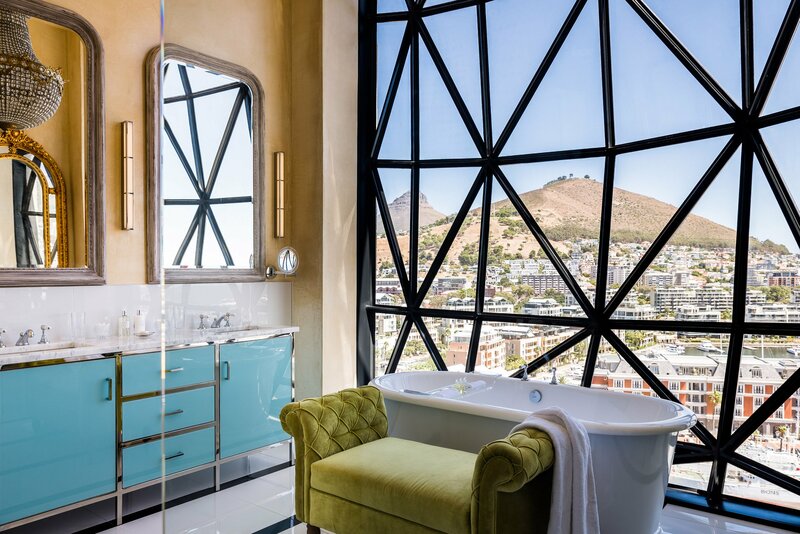 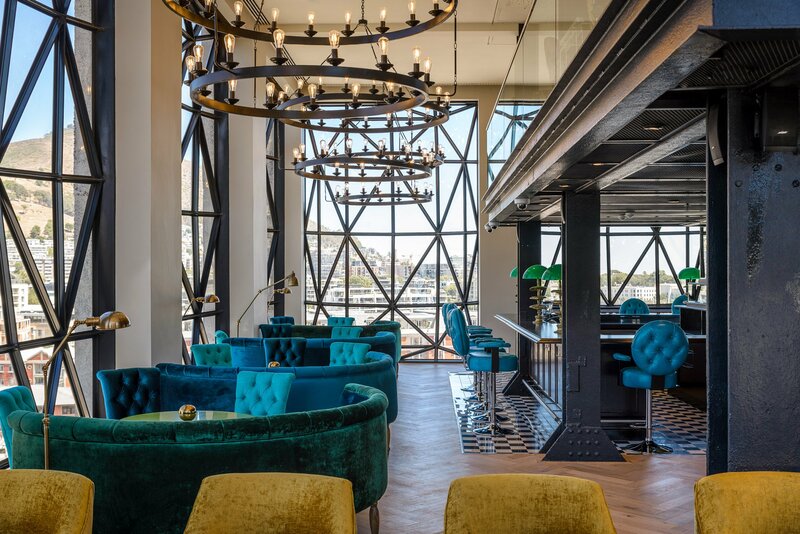 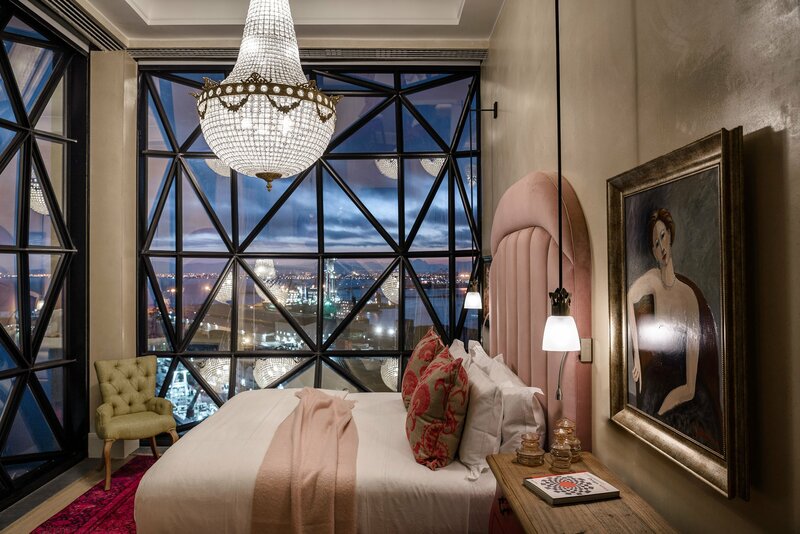 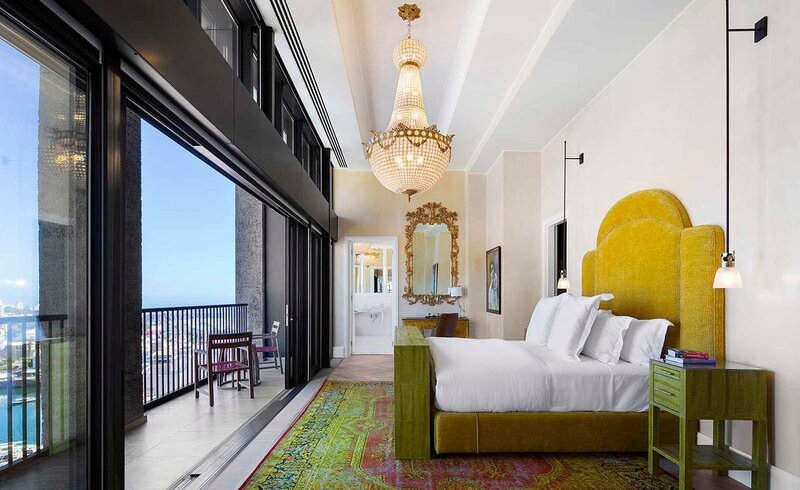 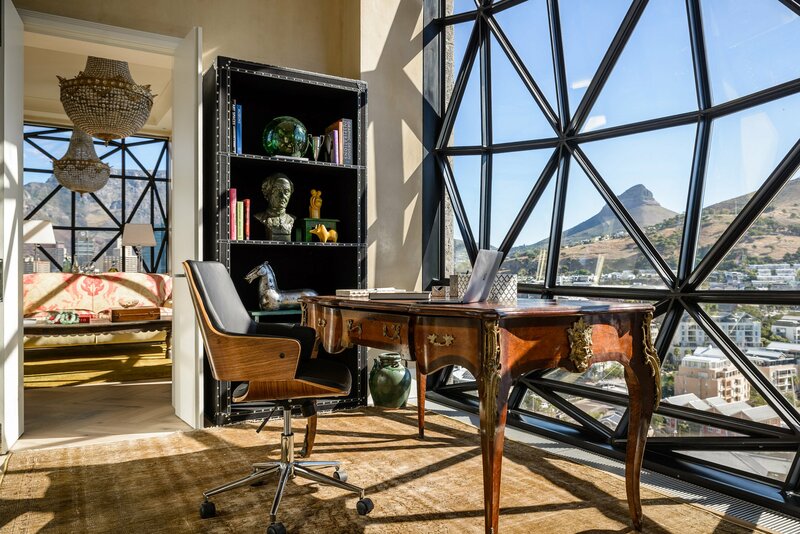 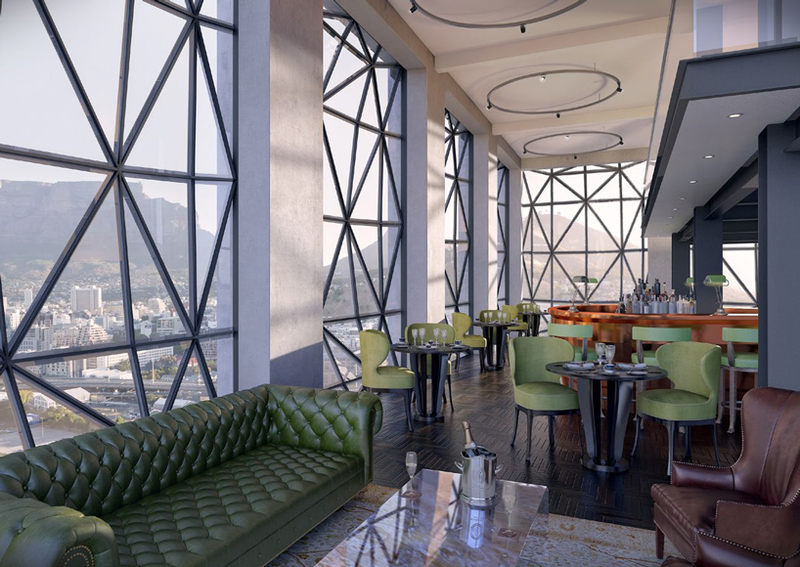 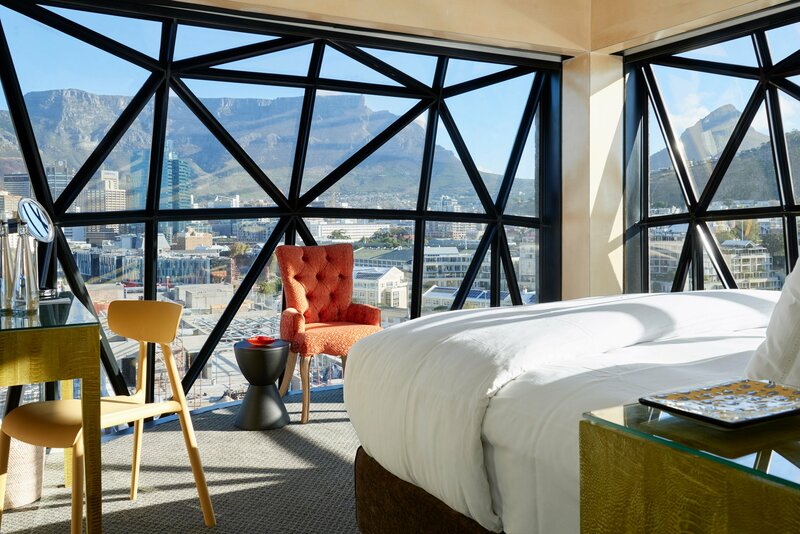 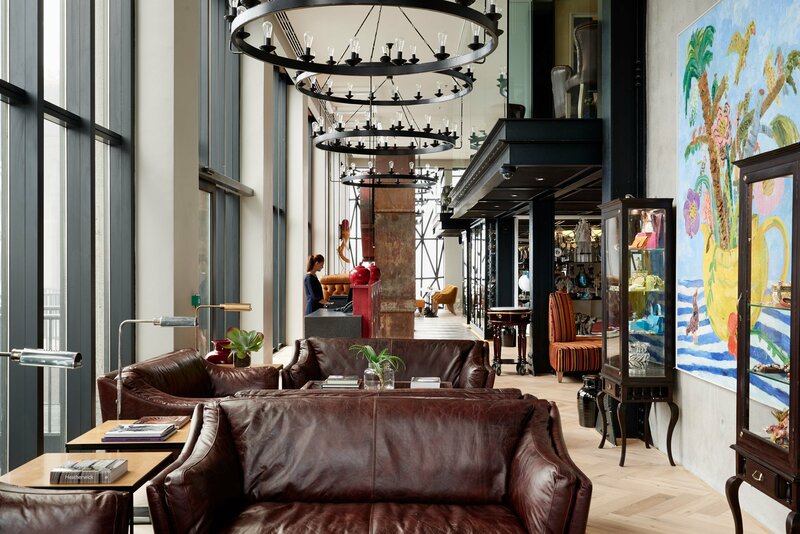 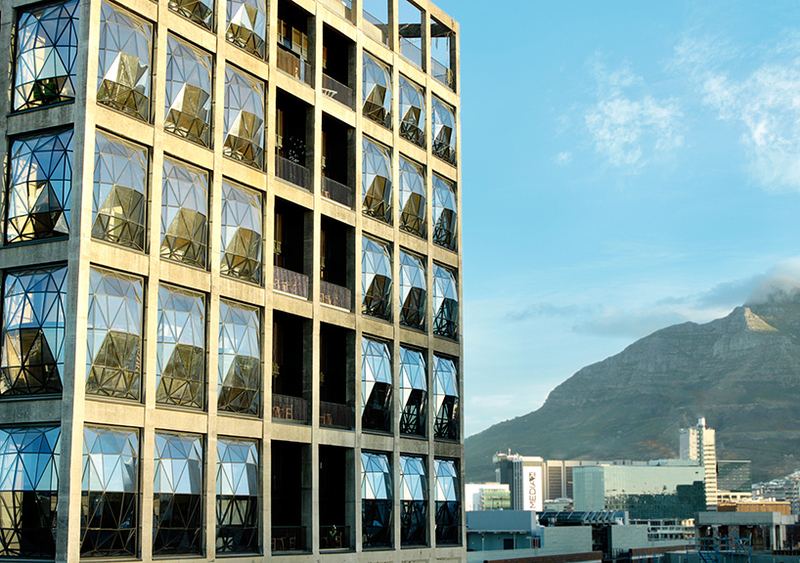 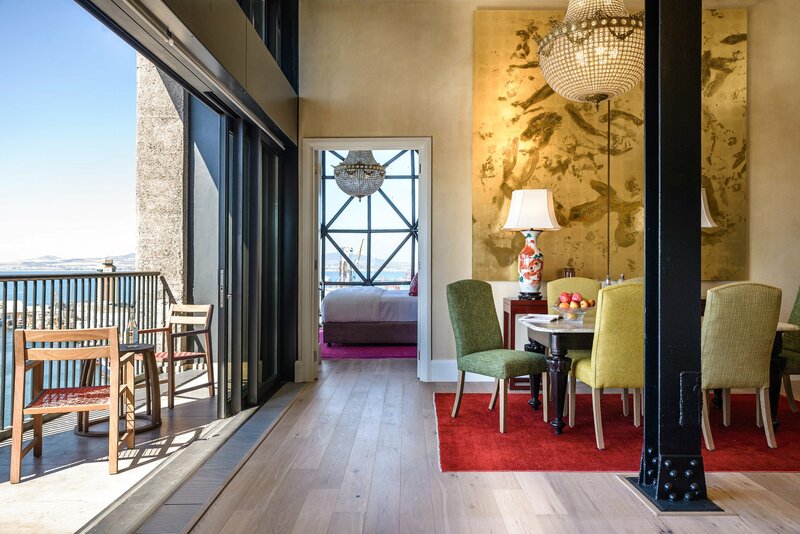 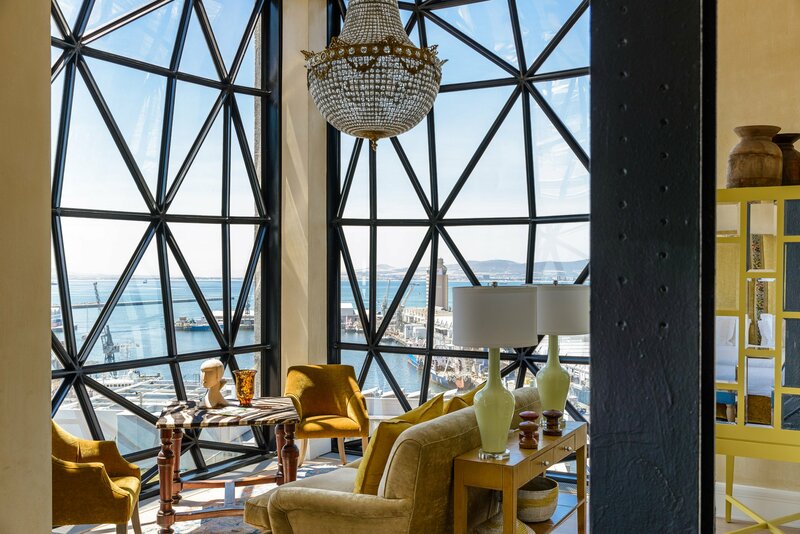 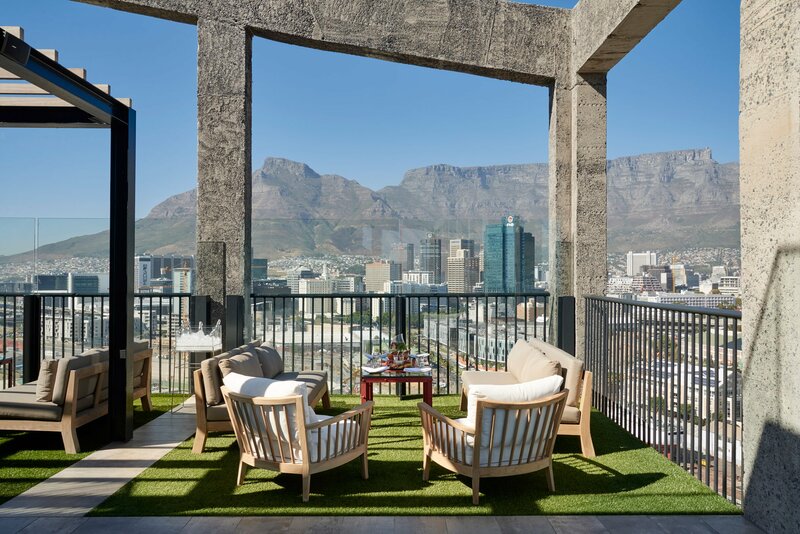 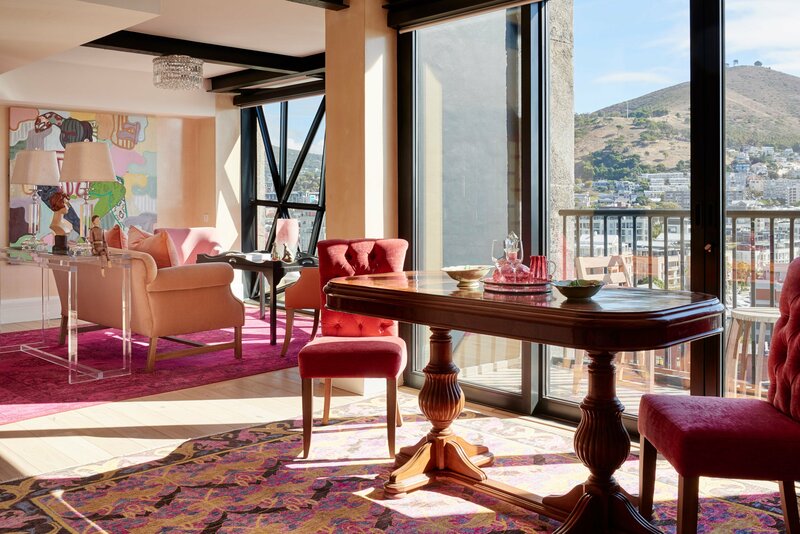 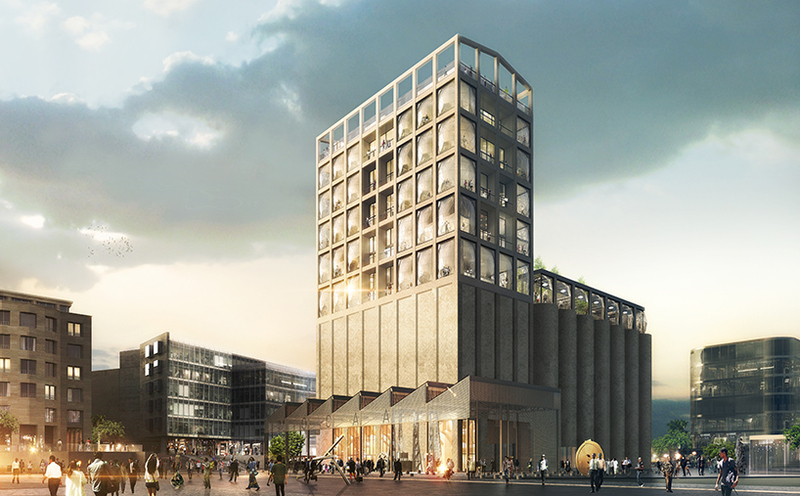 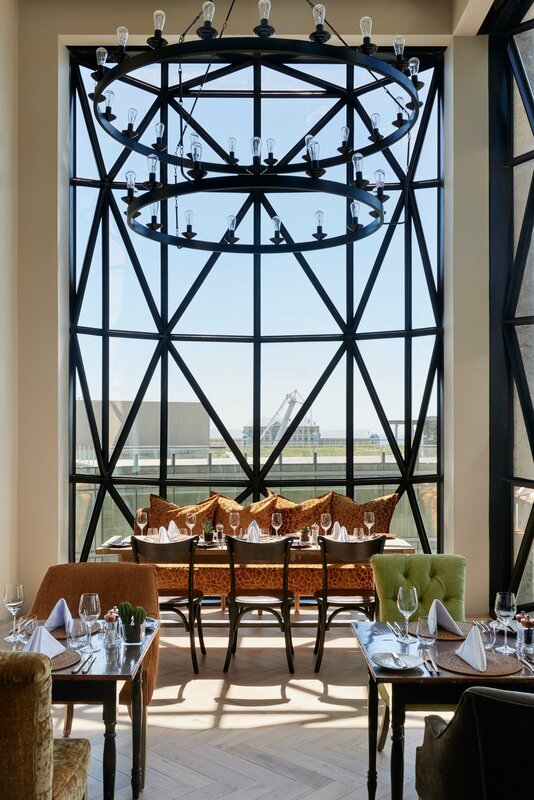 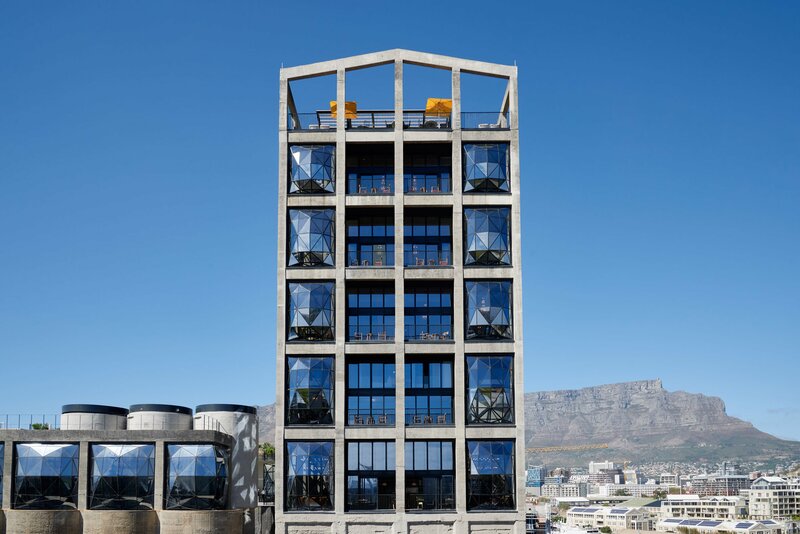 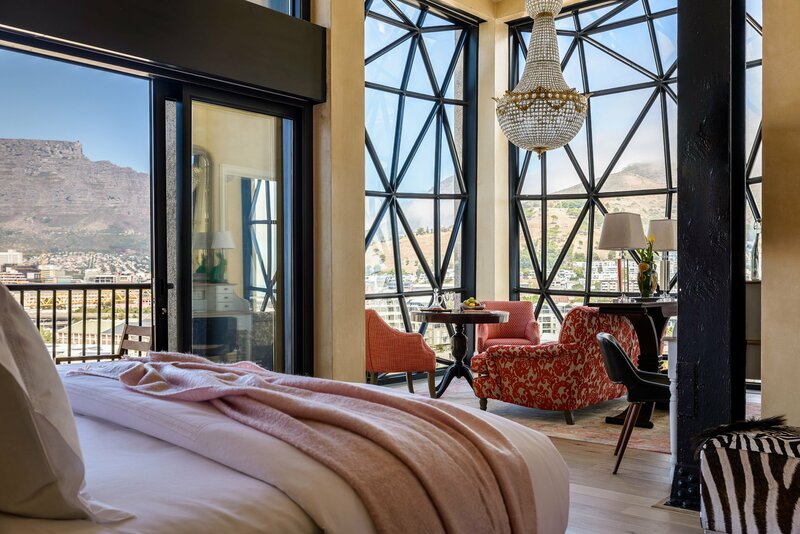 Towering above Cape Town’s Victoria & Alfred waterfront, ‘The Silo’ is a new hotel development partly designed by Heatherwick Studio that occupies one -half of a recently renovated, historic, 93 year old grain silo. 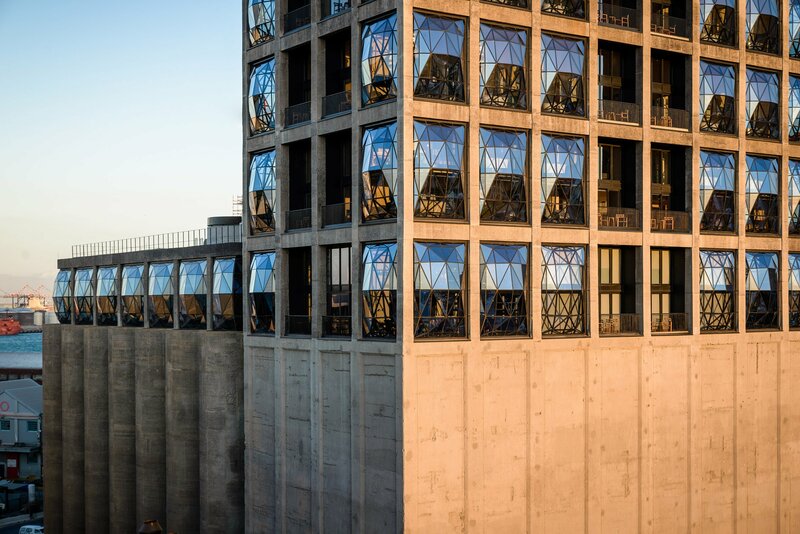 Standing at a height of 57 m, the grain silo was the tallest building in sub-saharan africa when it opened in august 1924. 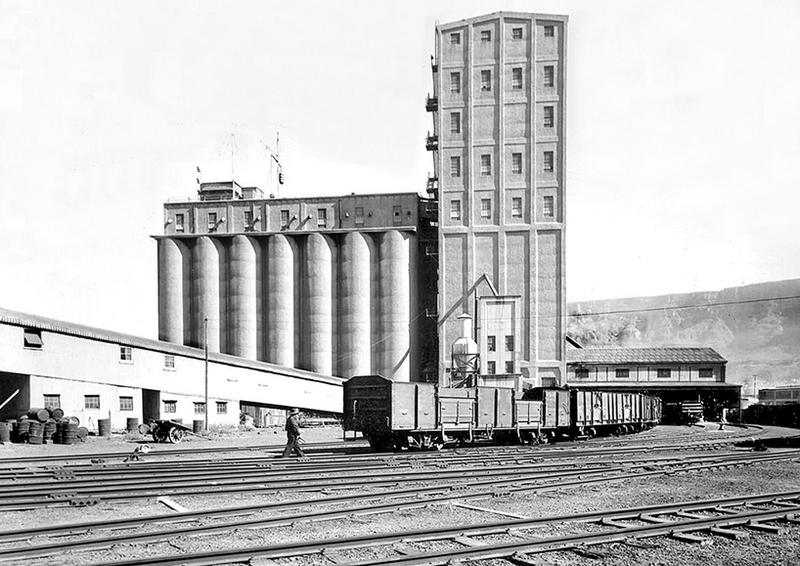 The structure is divided into two parts: the grain elevator tower, and the actual storage silos themselves. 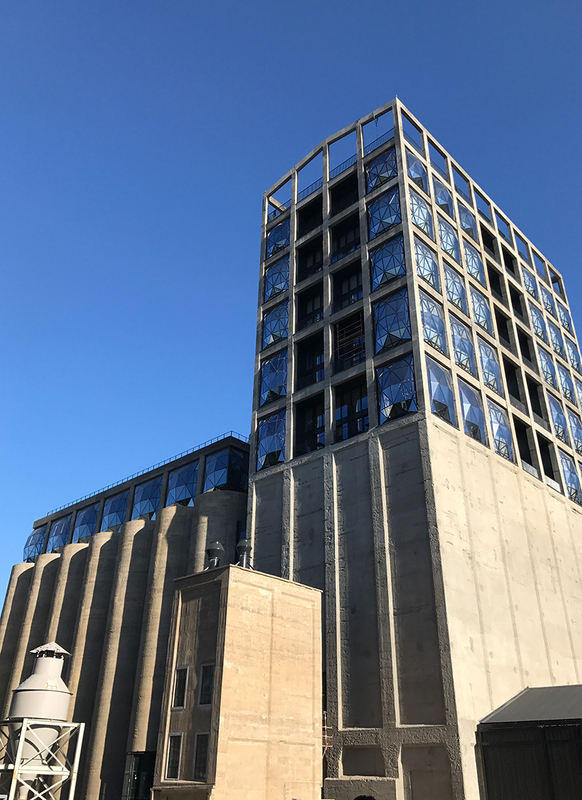 While the new hotel is sited within the aforementioned tower, the adjacent silos will contain a new museum of contemporary art, the first of its kind in Africa, which will open in September 2017. 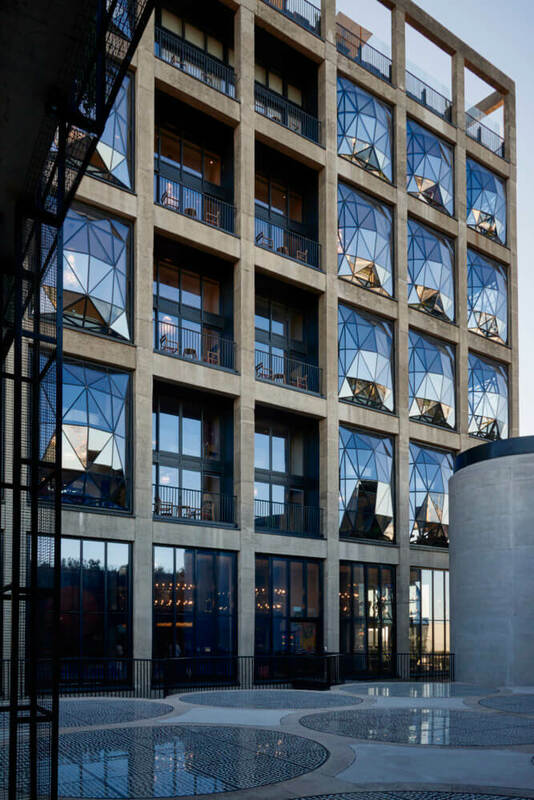 The London-based design studio were responsible for both the redesign of the building’s exterior and facade as well as the art museum within. 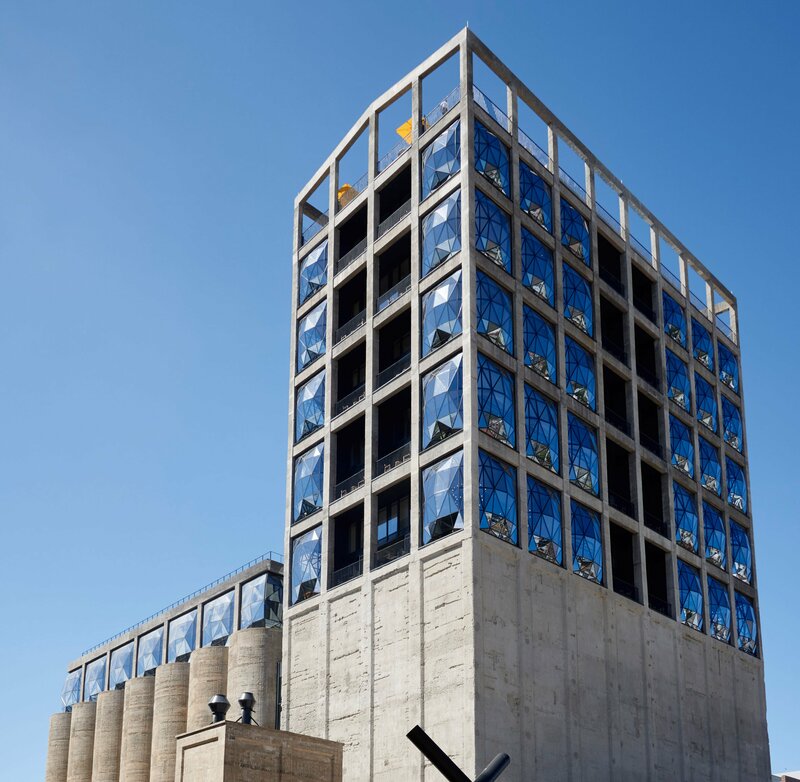 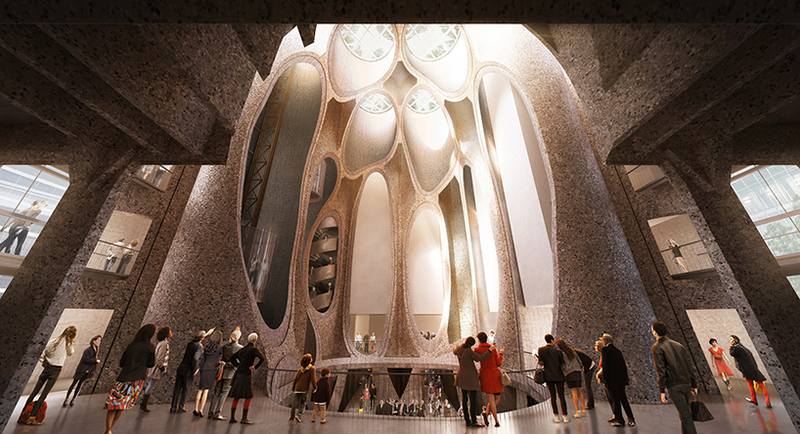 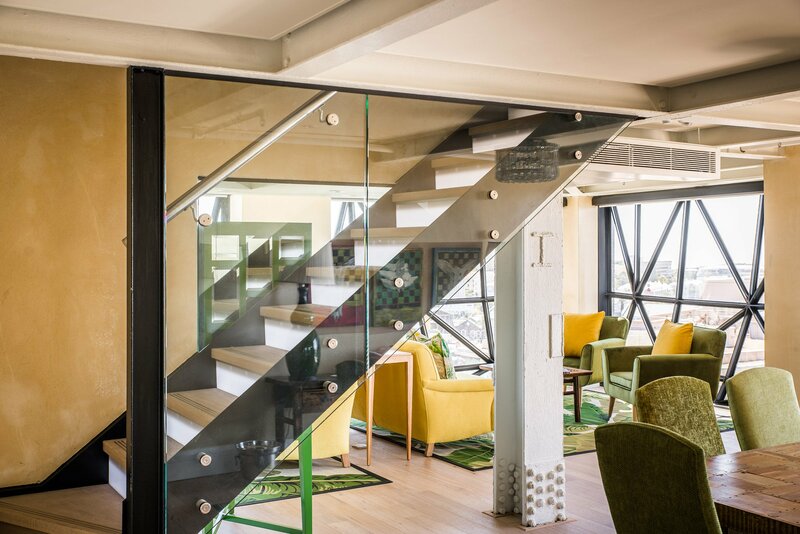 Their brief involved the transformation of the elevator house and the adjacent storage annex of six rows of seven silos all of which had to be done while retaining that the cultural significance of the building and creating a building that would be synonymous with the Cape Town skyline. 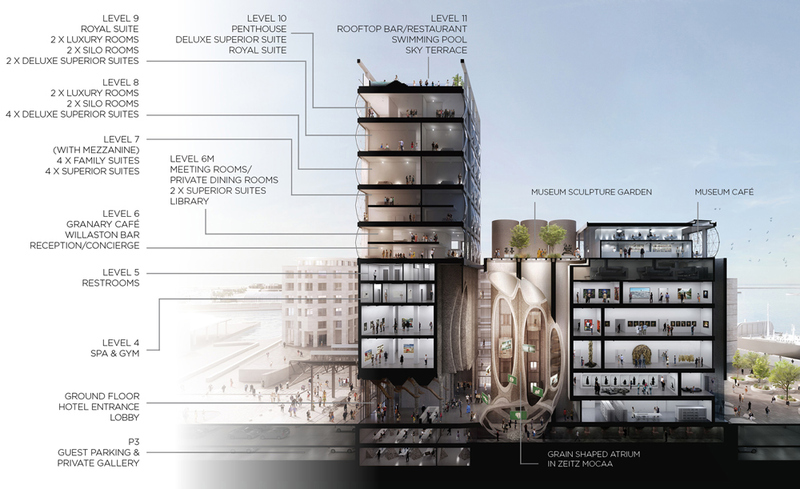 You can read more about their design approach here. 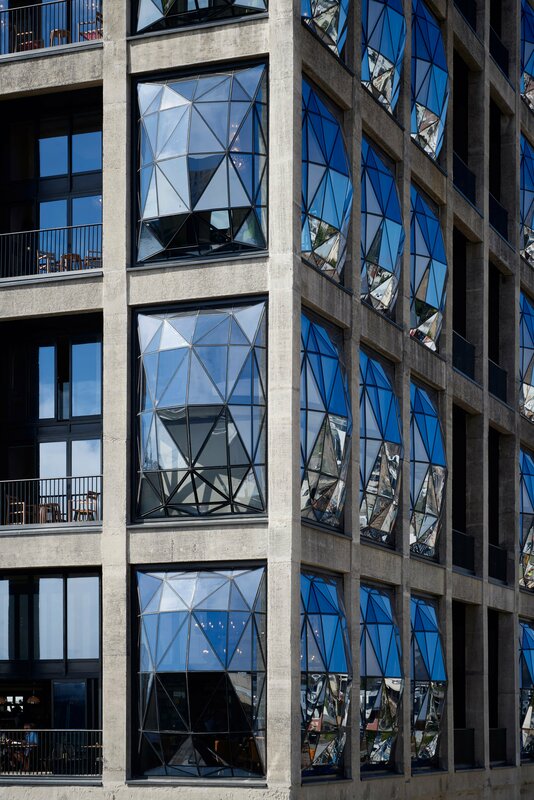 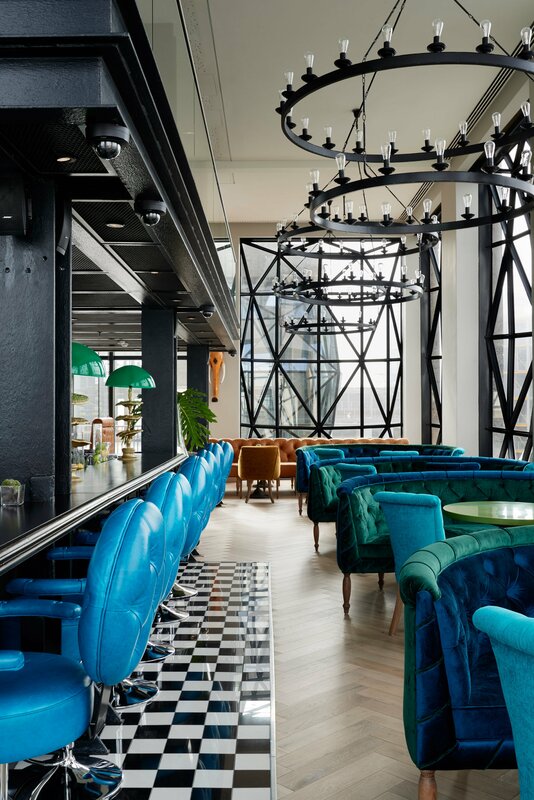 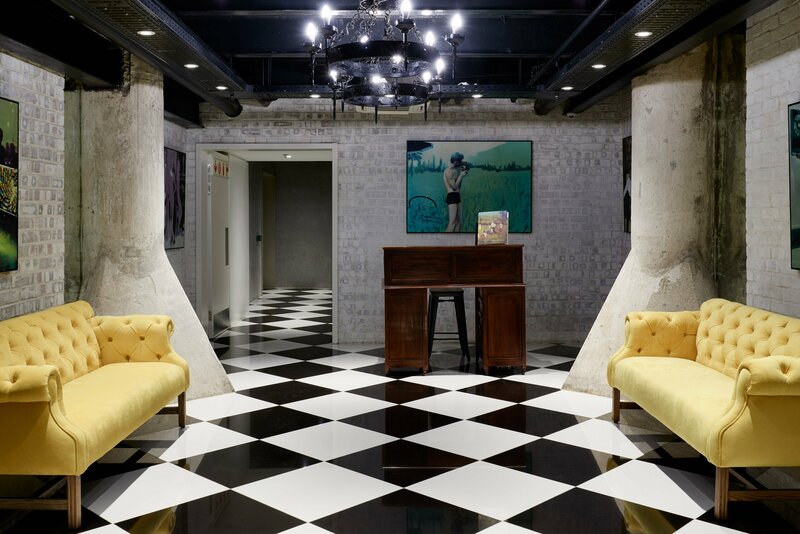 Looking from the outside, the greatest visible change to the building’s original structure is the addition of pillowed glass windows or curtain walls inserted into the geometry of the hotel floors. 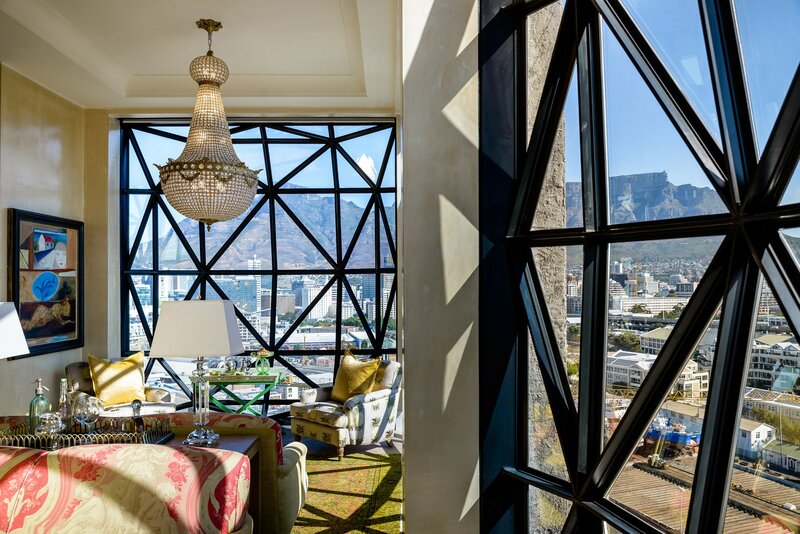 These peculiar windows bulge outward by almost 1m allowing for panoramic views of the surrounding vista. 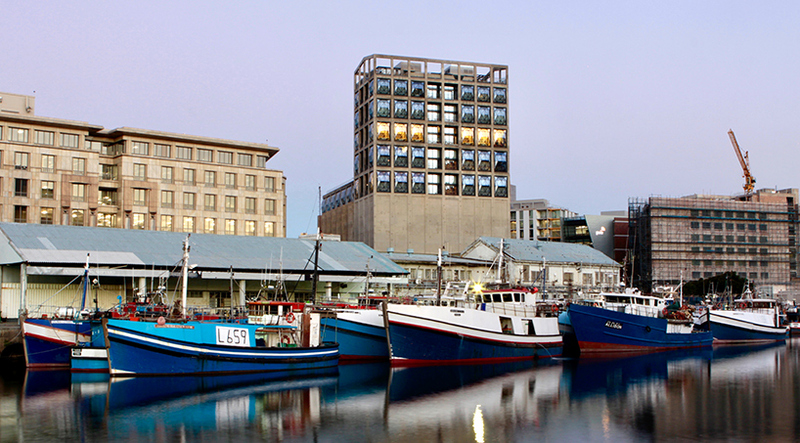 By night, this transforms the building into a glowing beacon in the harbour. 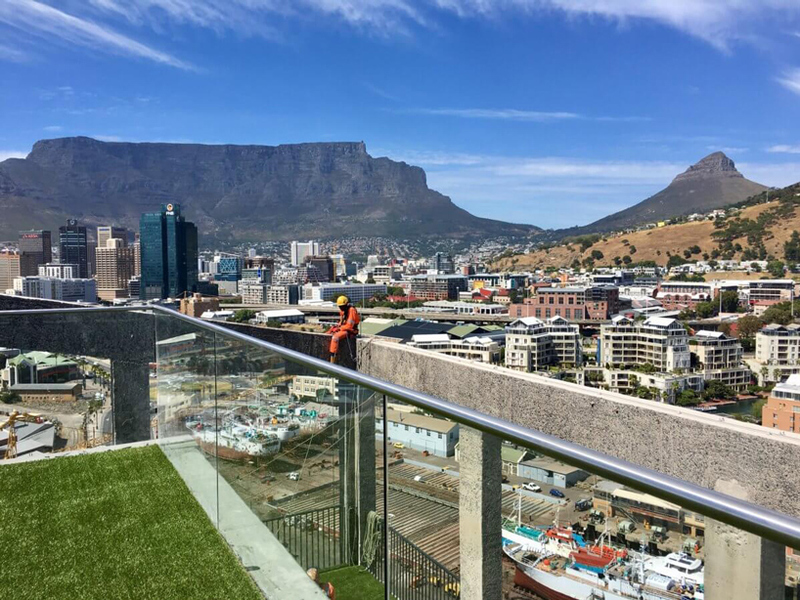 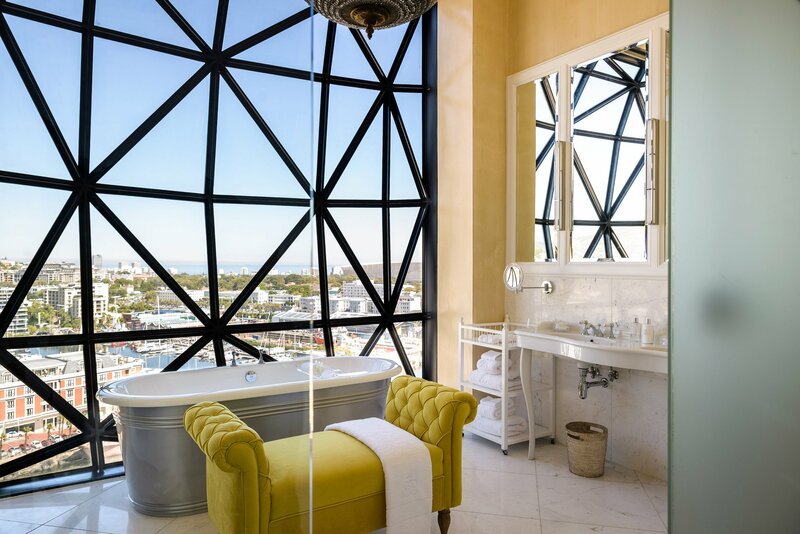 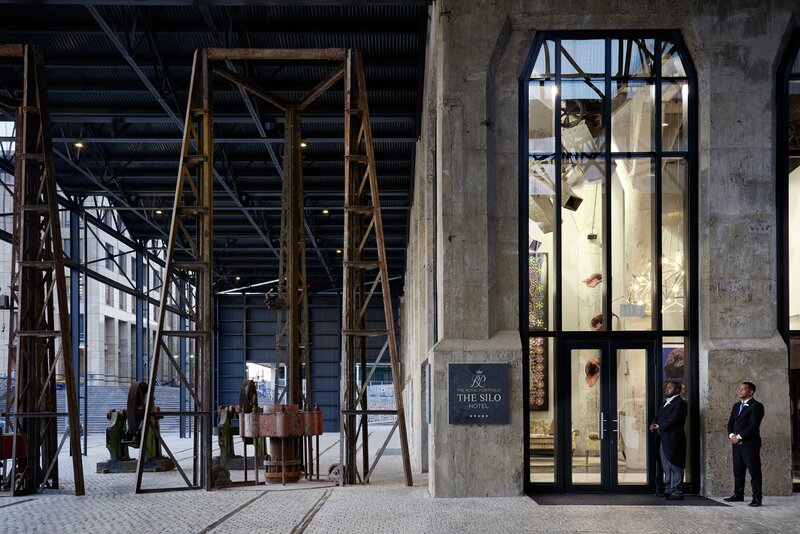 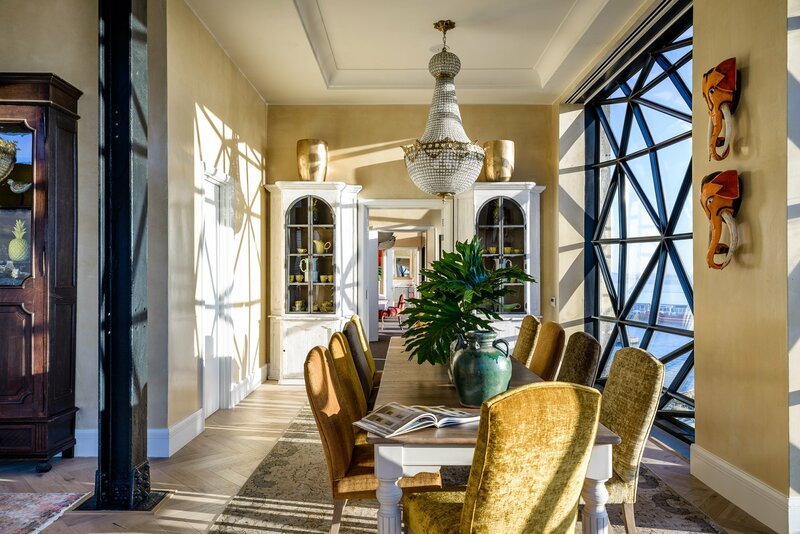 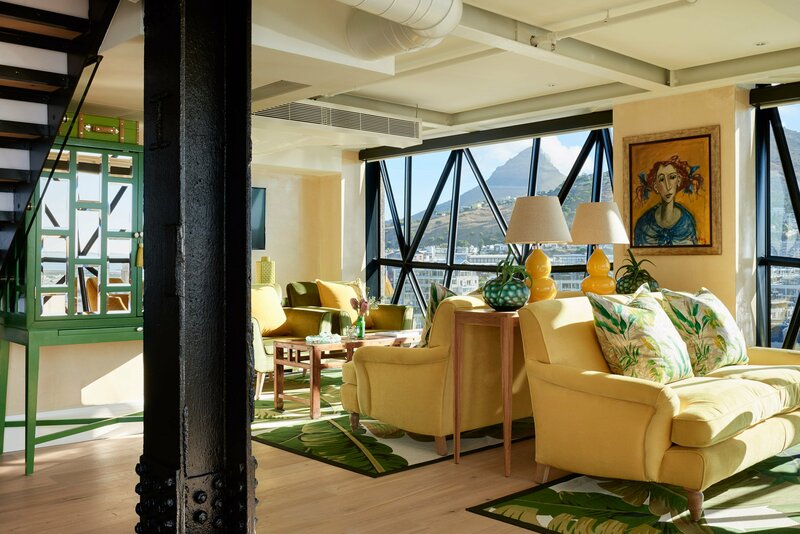 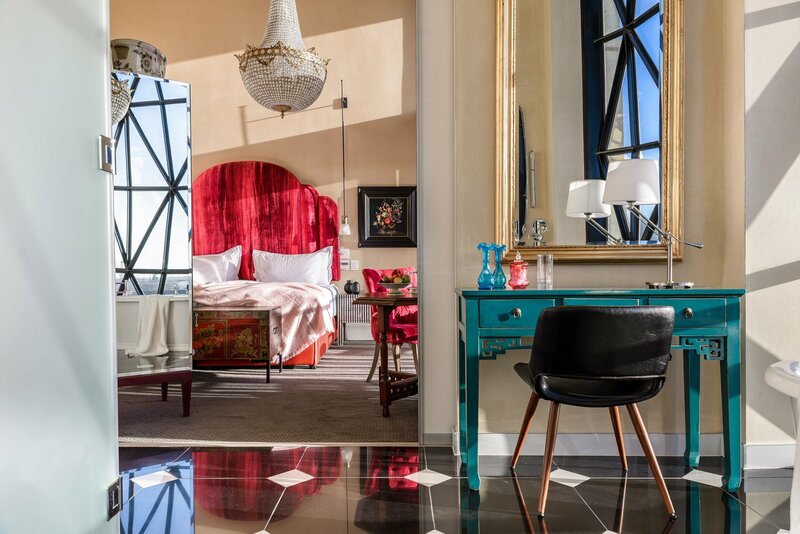 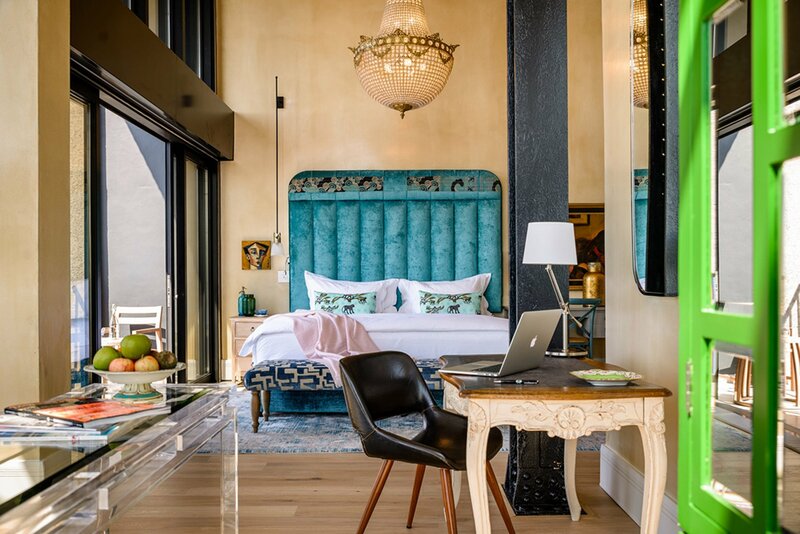 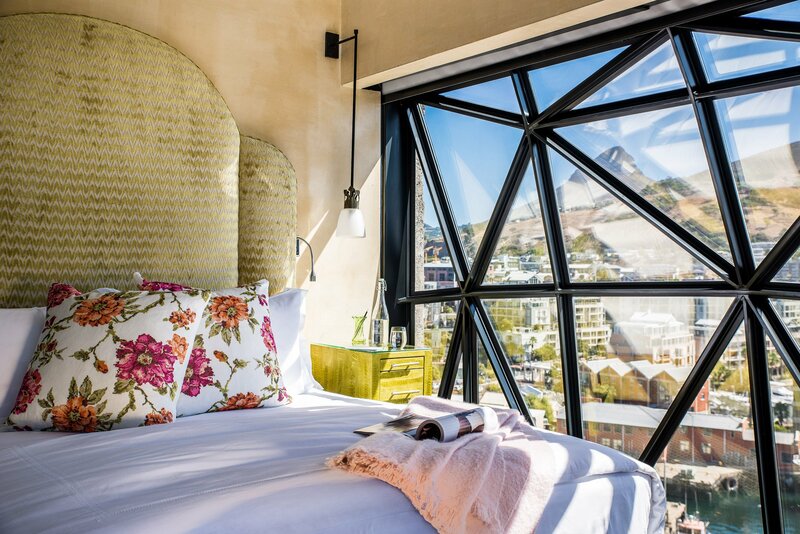 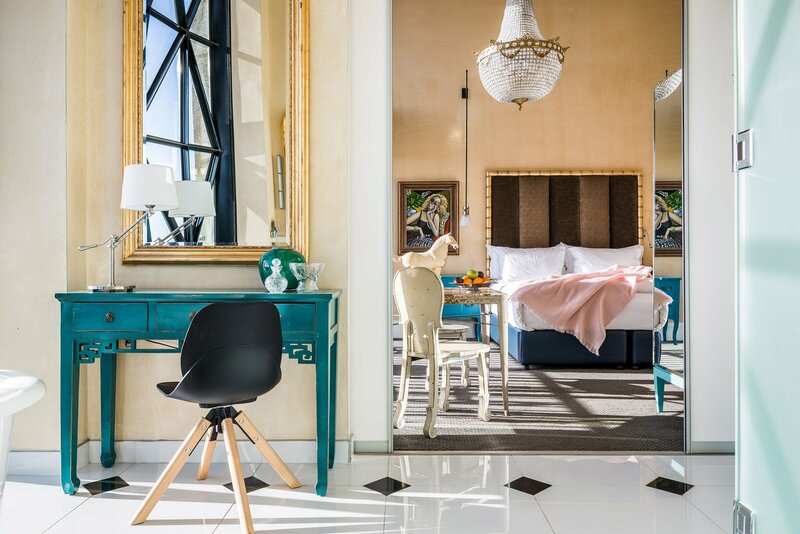 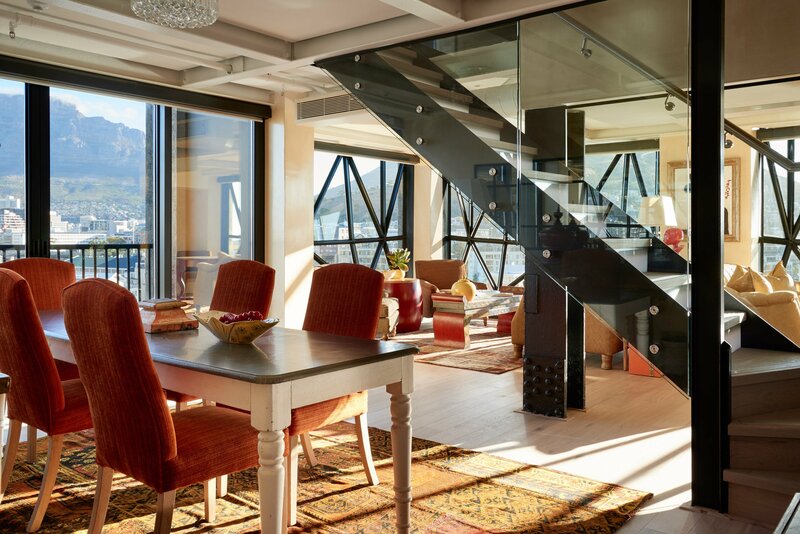 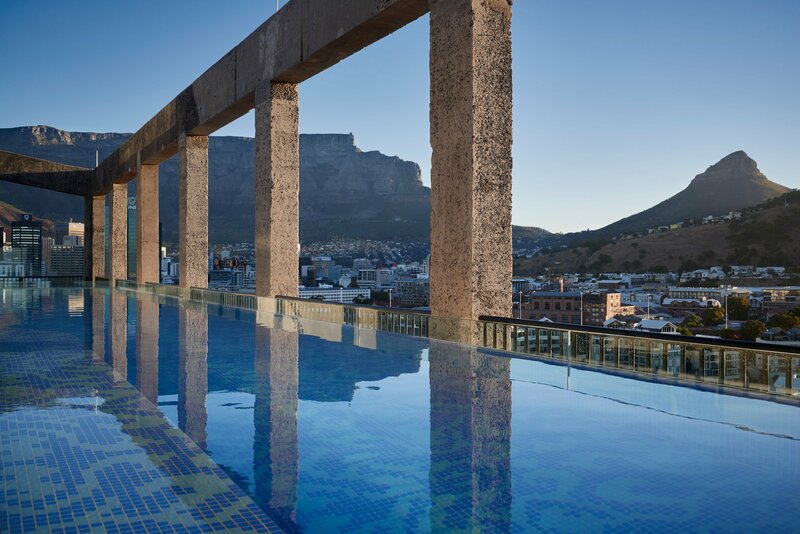 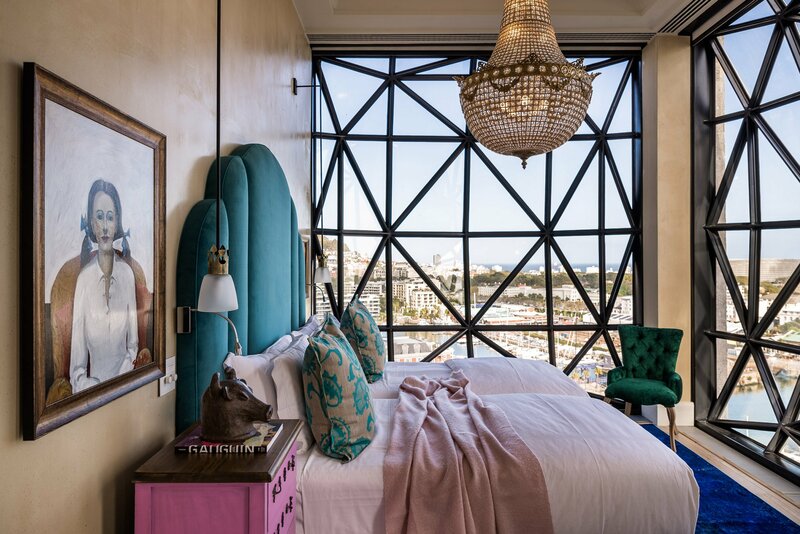 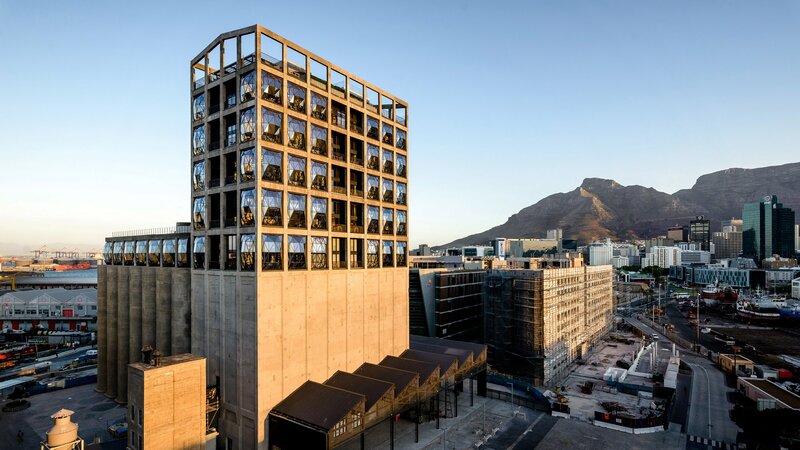 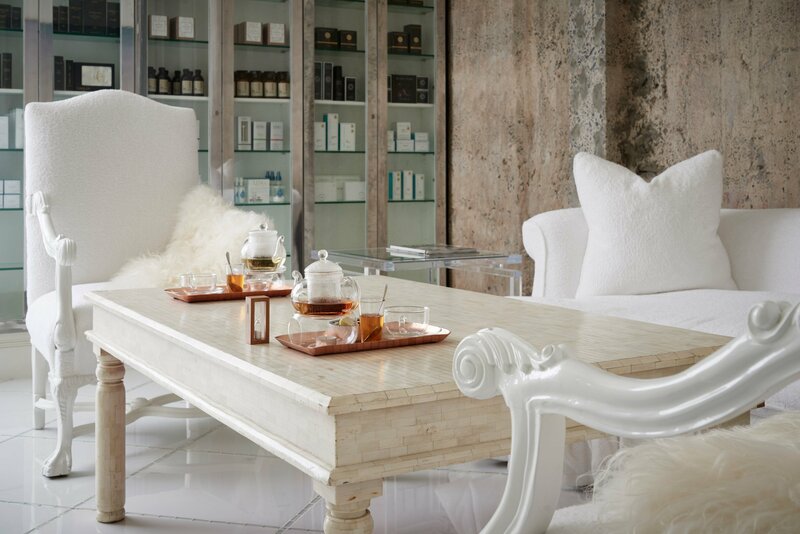 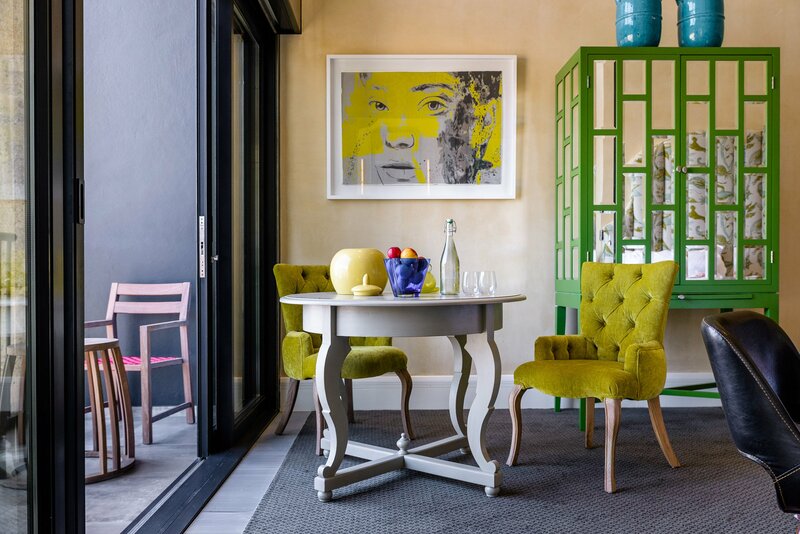 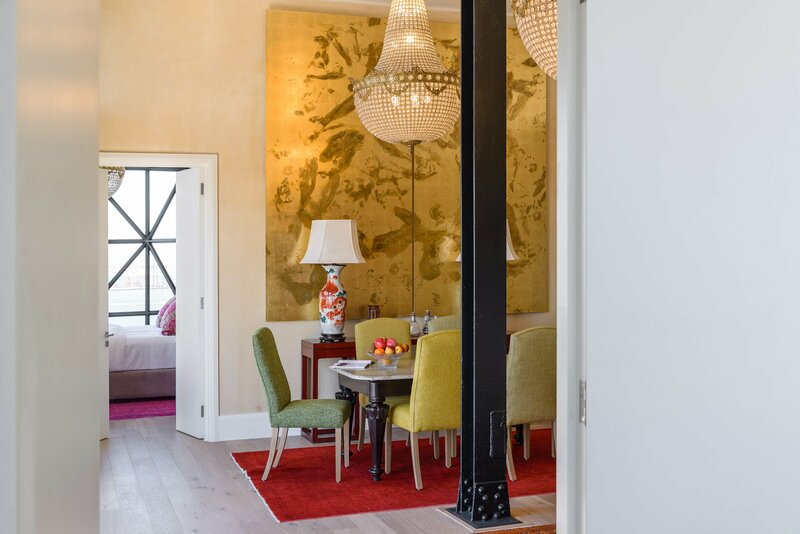 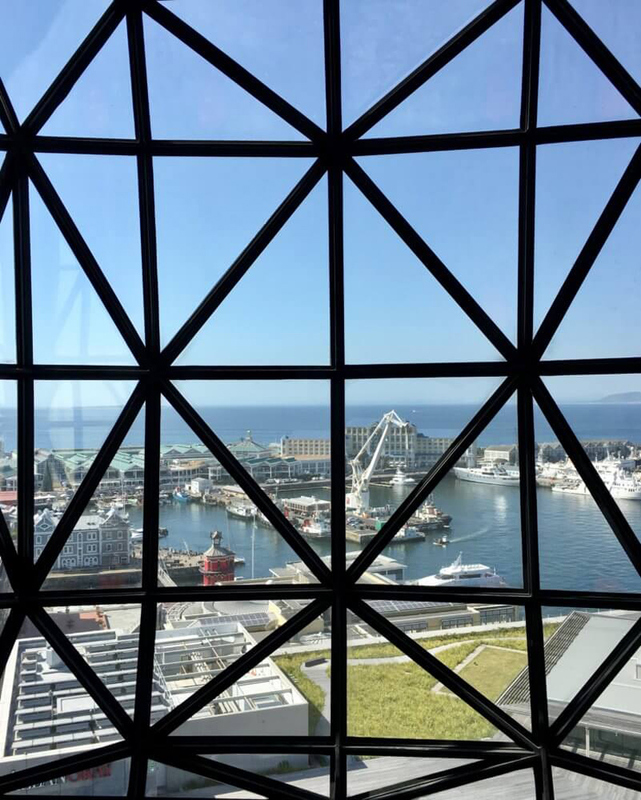 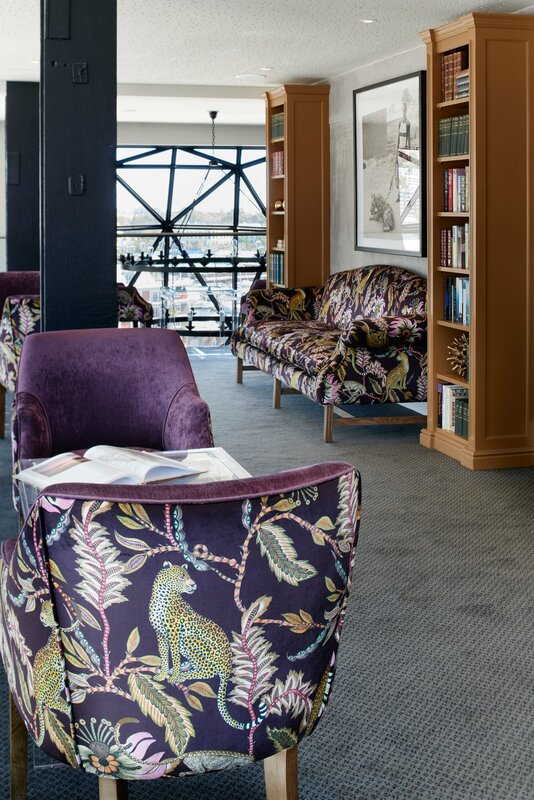 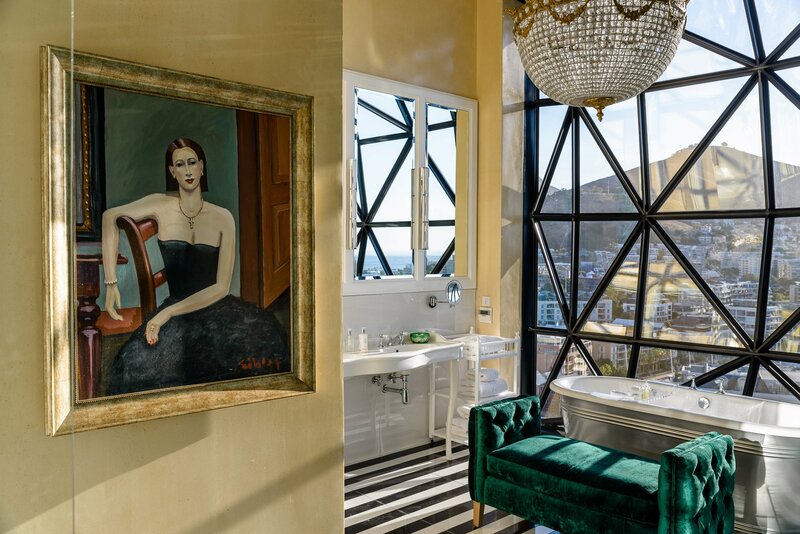 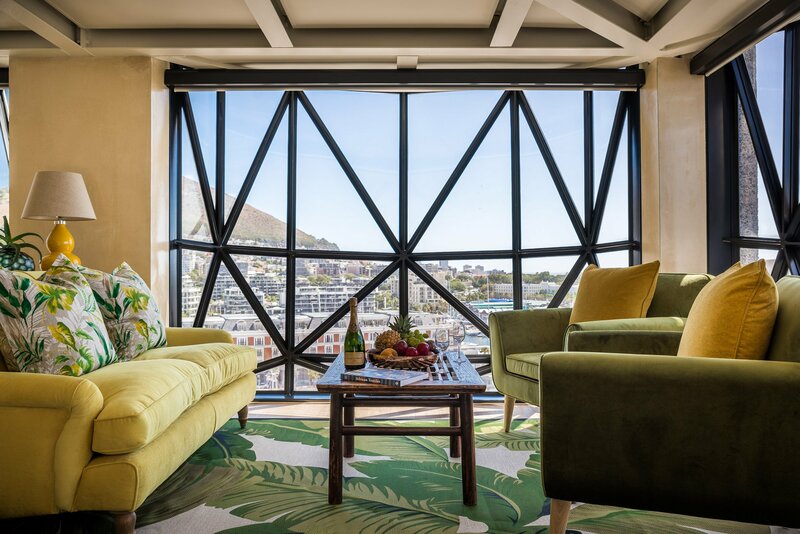 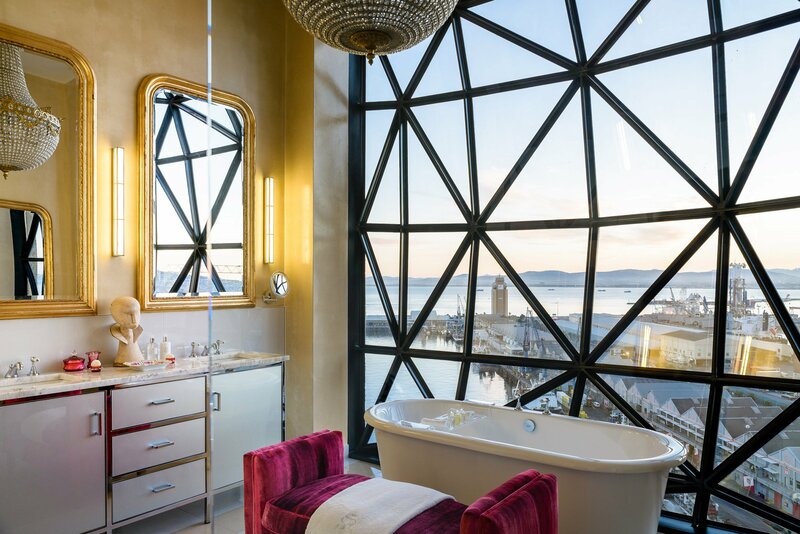 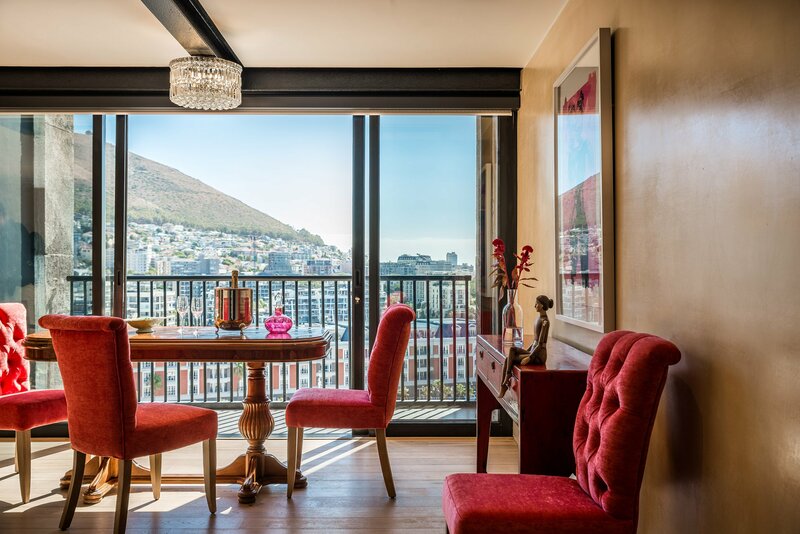 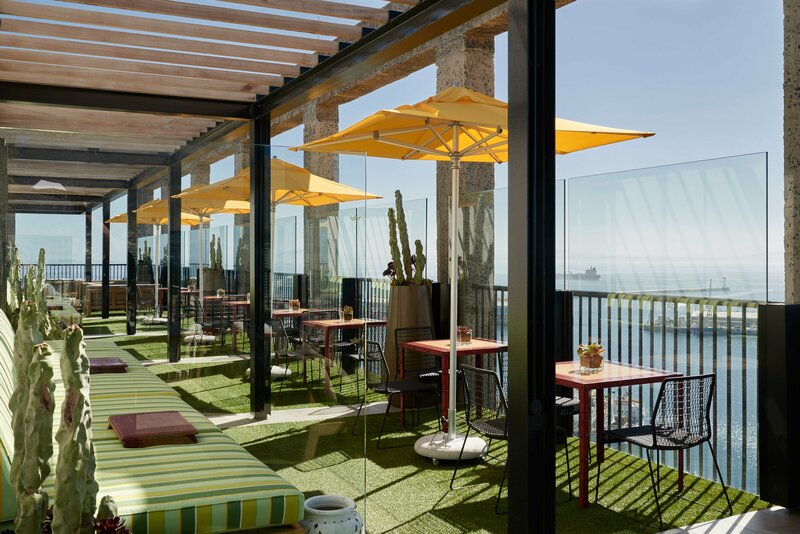 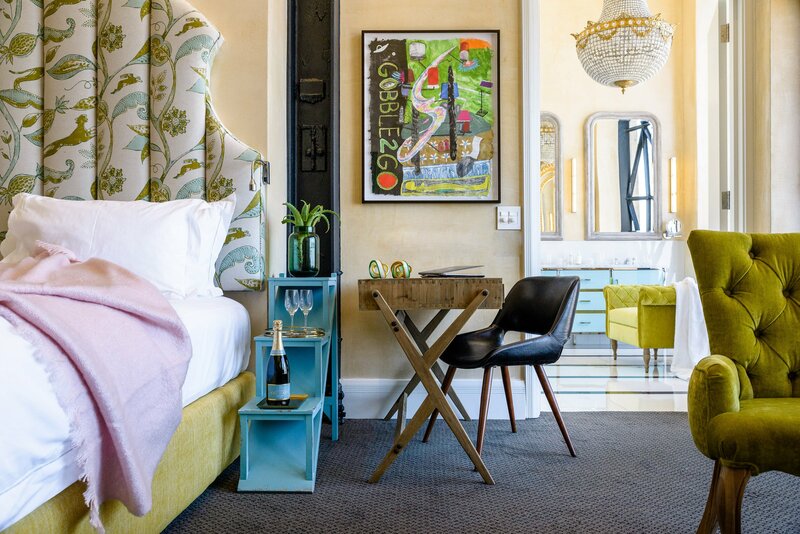 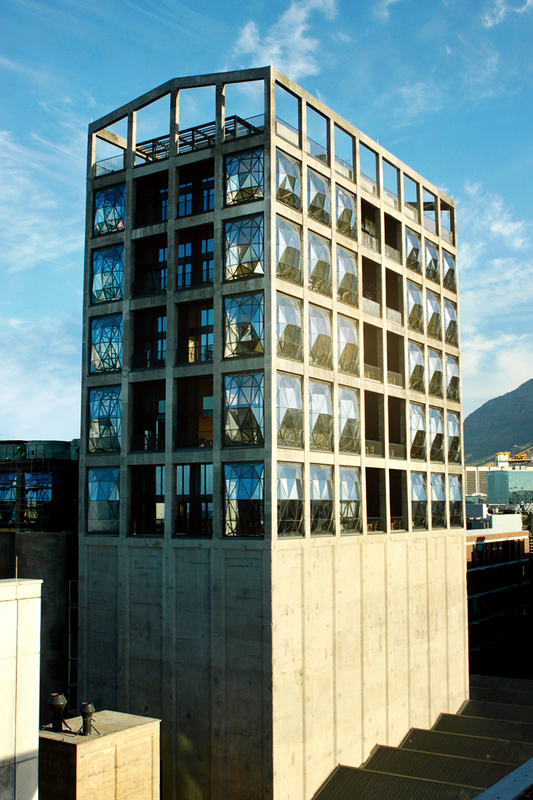 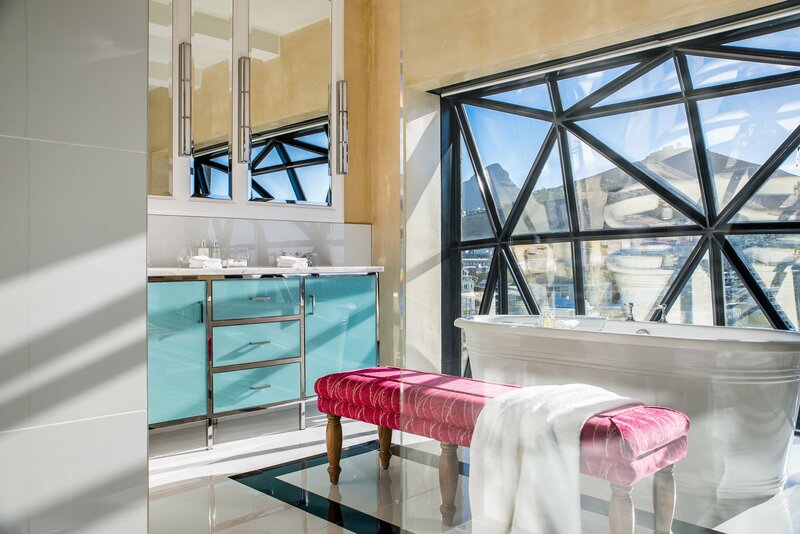 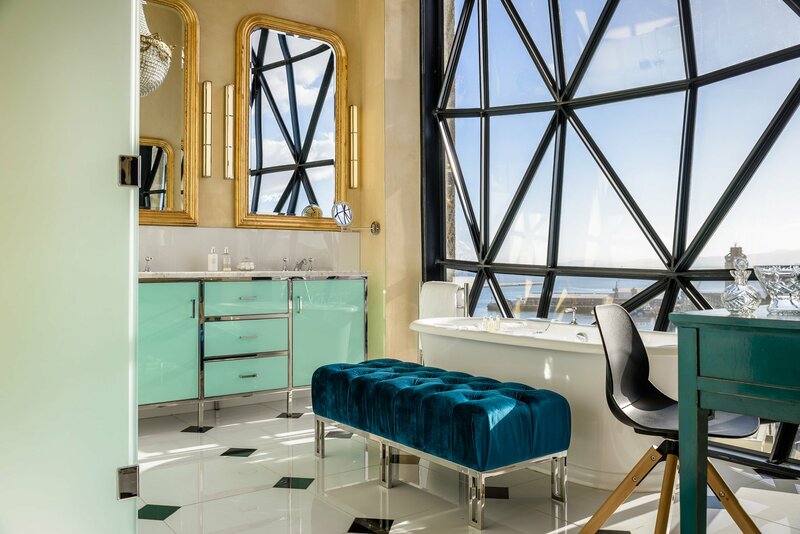 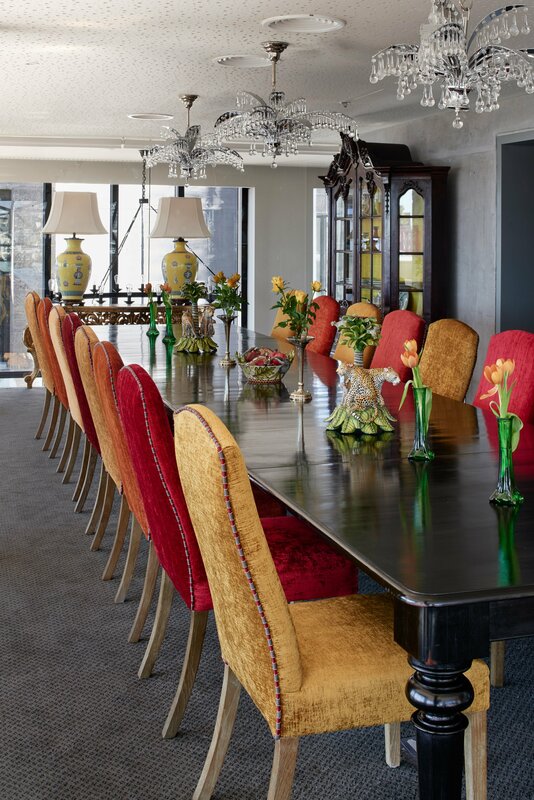 The experience at the silo is focused on the art and culture of Cape Town while also celebrating the exquisite natural beauty of city. 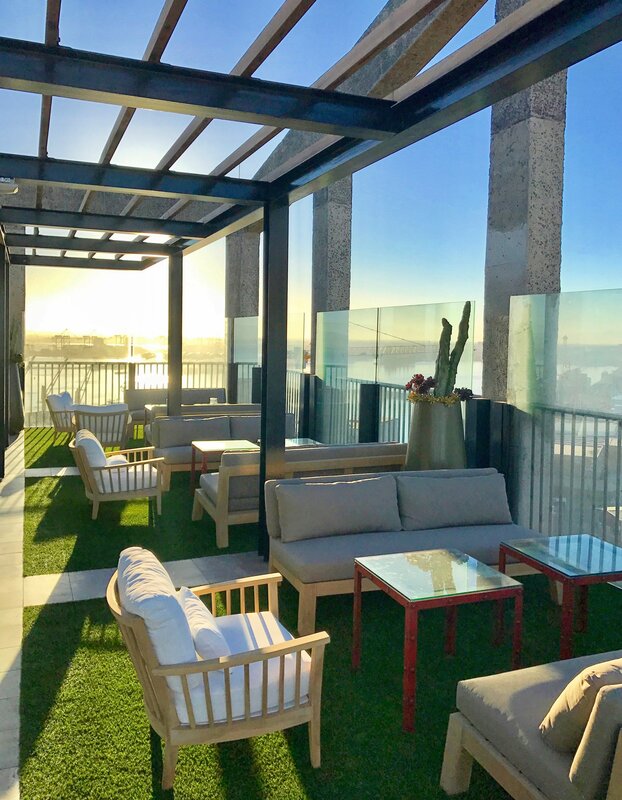 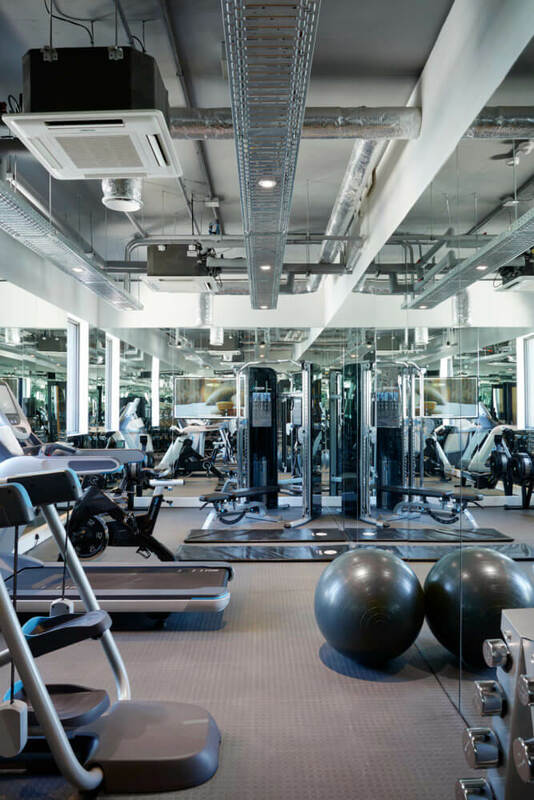 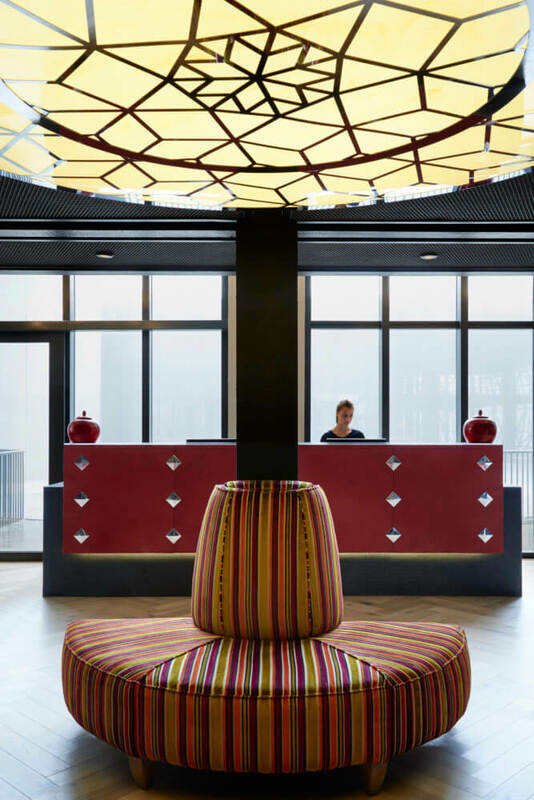 Everything from the spa and gym facilities, to the rooftop restaurant and swimming pool, as well as dining rooms have been designed with a goal towards achieving this experience.